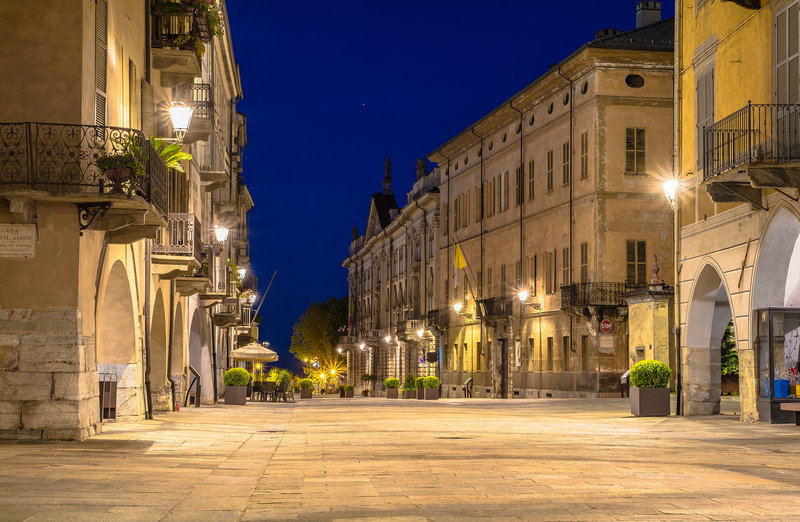 Departing from Turin, our first stop will be Piazza Torino where starts Via Roma, the main street of the old town. Here we could admire Sant’Ambrogio Church, small baroque jewel and the Town Hall. Proceeding to Via Santa Maria we’ll reach Piazza Virginio where stands the monumental complex of the former Church and convent of San Francesco. Back in Via Roma, we can walk through Contrada Mondovi, pedestrian area with several antique shops and craft products and then we’ll see the Synagogue and San Sebastiano Church. At the end of Via Roma we’ll find Piazza Galimberti, Cuneo’s living room, with an area of almost 24,000 square meters that hold the popular market that attracts people not only from all the surrounding areas but also from Liguria and France. Our tour continues to Corso Nizza where we could notice the different architectural styles that characterized the twentieth century. After that we’ll proceed to Angels Avenue, where we can find some buildings of great architectural merit and decorative elements linked to Art Nouveaux, a large park with impressive bronze monument dedicated to the Italian Resistance and at the end of the Avenue the Shrine of Our Lady of the Angels that holds the incorrupt body of Blessed Angelo Carletti, the “special protector and defender of the city and its inhabitants”. During the tour we can agree to have lunch in one of the restaurant of the old town to taste the delicious food and wine specialty of the territory.